Retinal photography is done with a specialized instrument that takes a high resolution, digital image of the retina, the light sensing tissue at the back of the eye. This new technology is an important tool for helping the optometrist screen for, and monitor, many different eye diseases such as glaucoma, macular degeneration, and diabetes. 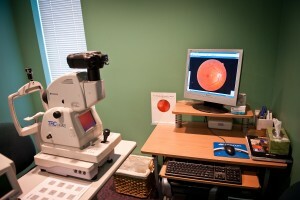 Retinal imaging is recommended for all new patients who are examined in our office. Your retinal photos will be captured, examined and reviewed with you during your visit, and will be used to monitor changes to your eye health over time. Visual field testing is used for the diagnosis and monitoring of many different neurological and retinal disorder such as glaucoma, multiple sclerosis, stroke and tumours. The visual field test carefully maps a patient’s central and peripheral vision. 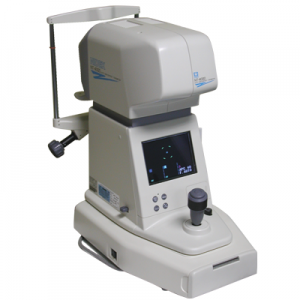 Our office is equipped with the FDT visual field machine which is most sensitive in picking up early glaucomatous field losses. We are able to check your eye pressures with the use of a puff of air. This is one of two methods we have available to test for your eye pressure which is an important in screening for glaucoma.